This article gives the information of Date ware housing which new technology. Data warehousing is new technology that provides the user with the tools to store the summarized information from multiple heterogeneous databases in a single repository. Data warehouse is also seen as a Data arrangement and Data analysis Technology, adopting an update approach. What has been mentioned earlier can perhaps be consider generic perception about date warehousing. However, Data Warehousing has also been specifically defined. Date Warehousing can be defines as follow “Data Warehouse is read only analytical database that is used as the foundation of a Decision support systems”. DW can also be defined in following manner “A database collects business information from many sources in the enterprises covering all aspects of the company’s processes ,products, and customers” A data warehousing is organized major subjects and contain only the sequence necessary for the decision support processing. A date warehouse is always a physically separate data store. Data warehousing does not require dispensation of transaction, recovery etc. 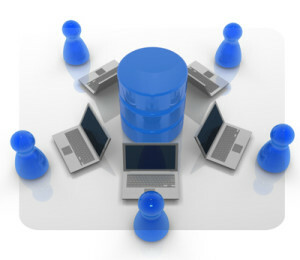 A Data warehousing are more popular among the IT professional. It helps integrate data from a number of diverse, heterogeneous sources. It consolidates such data and stores it in a step by step fashion. That data can be used for “Informative Analytical Processing” over a long historical time perspective. It allows the management mostly at the senior level using the Decision Support System (DSS) and executive information system for semi decision. It helps create an enterprise-wise integrated database of summarized historical information and support business analysis and decision making. It improves the optimization efforts through consolidation conversion transformation and integration of optional data. A data warehousing typically starts out as very large database (VLDBs) containing huge records. The longer that a data warehousing has been in use, the more it-would evolve. Initially, the data warehousing was mainly used for generating reports and answering pre-defined queries. Eventually it was used to analyze the complete data. Data warehousing can be used for strategic purpose, performing arts and multi dimensional analysis and sophisticated slice and dice operation. Not implementing a comprehensive meta data strategy. Not deploying a center warehousing administration tool. Not cleaning or integrating transaction data. Expecting the warehouse to stay static. Under-estimating the refresh and update cycles. Using a poor definition and approach. Poor design and data modeling. A full time project team with knowledge staff is needed; Both IT and business units must be involved in the project. The project scope must be focused and achievable. Activities must support the business goals. For more reading about technology news in singapore and seo to online marketing do view more about other pages.